Your kitchen is one of the most challenging and expensive rooms to build or remodel. However, plenty of consideration needs to go to it's planning because, it is where everything happens from talking, cooking, to family gatherings. Thus making it important to make the space functional, comfortable, and attractive. 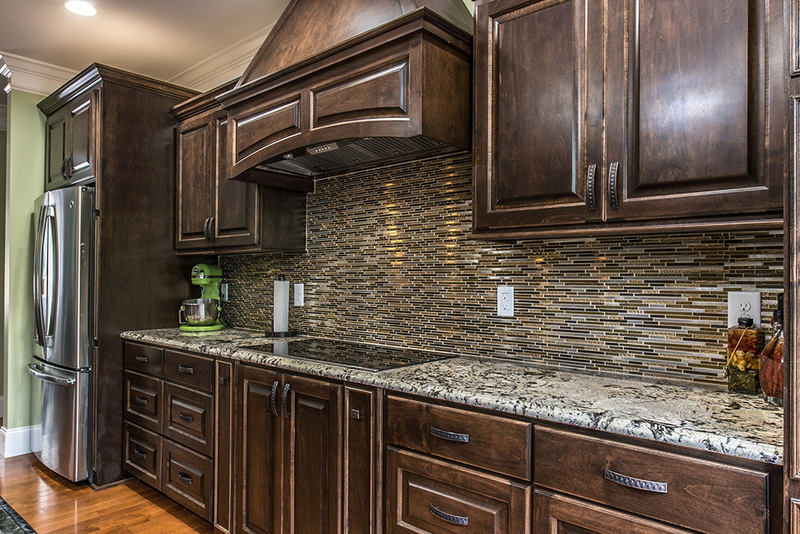 Ensuring your kitchen works for your family requires more than simply selecting beautiful finishes and touches. You will also need to make smart decisions on the design so that a safe and accessible space is created. 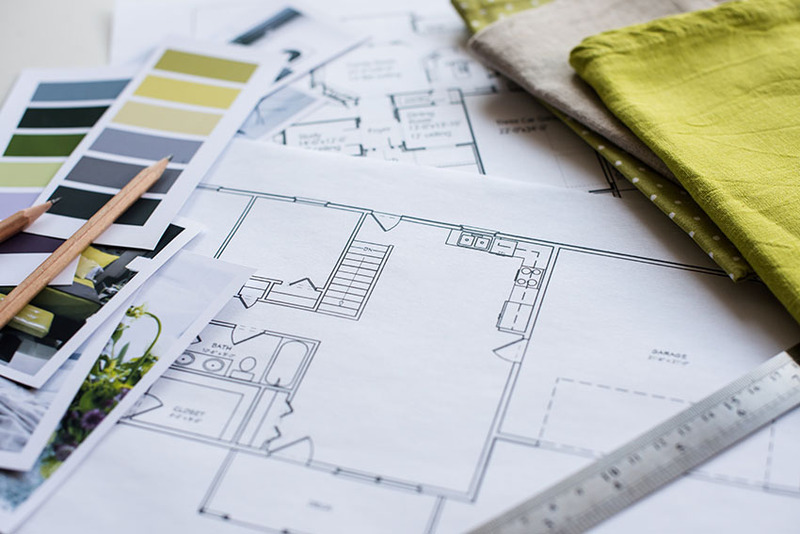 Here are some basic planning guidelines to help you with the key elements of your kitchen's design. • Doors and walkpaths: A door entrance into a kitchen must be at least 32 inches wide, and any doorway with a physical door should not open into/onto your appliances, cabinets, or other doors. If your kitcken is a smaller space then, hang doors so they will swing out, to avoid interference problems. 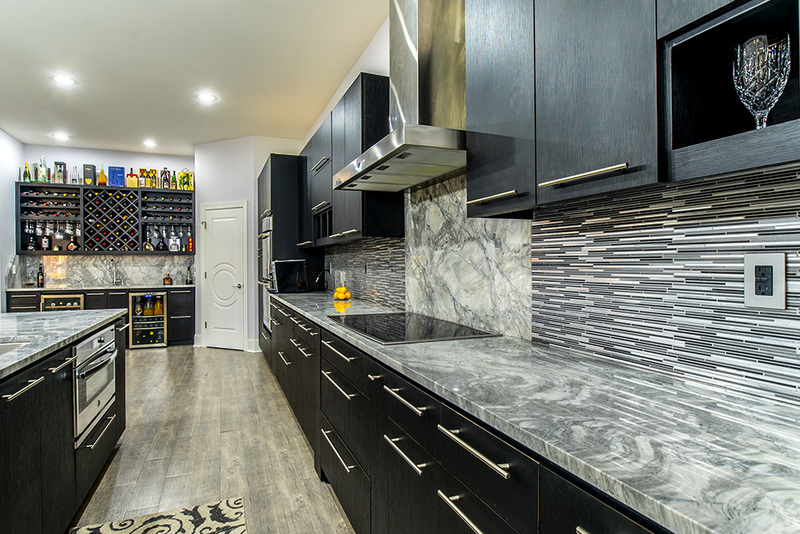 Pass-through lanes in the kitchen need to be at least 36 inches wide. So that you can tote items in the area without being a "bull in a china shop". In cooking/prep areas, the walking space should be between 42 and 48 inches wide so that everyone can move around without knocking each other to the ground. • Functionality Of The Work triangle: The work triangle is the most important design feature to improve a kitchen's functionality by minimizing walking distances between important commonly used spaces. 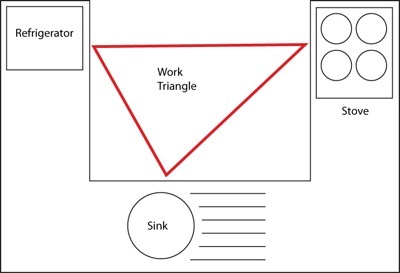 A few examples of a "Work Triangle" are the proximity of the sink, refrigerator, and primary cooking surface. The scientific number for the most comfort and productivity should be no more than 26 feet, and each stretch of the triangle should measure between 4 and 9 feet. So going back to those math formulas we thought we would never use outside of school (a2+b2=c2). If multiple people plan on cooking in a single kitchen plan on having this triangle for each cook. Remember each cook can share a common triangle leg, but they should not cross each other. Also, avoid having traffic path cross these triangles. • Dishwasher & Sink Proximity: All sinks with landing areas should have space of at least 24 inches on one side and at least 18 inches on the other. Place the nearest edge of the dishwasher within 36 inches of the nearest edge of a sink. Also, to avoid conflicts of interference leave at least 21 inches between the dishwasher and any appliance or cabinet. • Counters & Countertops: We recommend all kitchens have at least 160 total inches of usable countertop, which considers any span, including islands, and have at least 15 inches of open space above. You will want to provide enough space beside the sink and cooktop for prep area. It's recommended to include at least a 24 inches for this span of countertop. Plan for at least 14 inches of countertop beside the refrigerator. Allow at least 14 inches of counter space on either side of the cooking surface. If the appliance is in an island, also extend the countertop at least 12 inches beyond the heat source. • Counter Seating: If you are doubling a countertop as seating space, 30-inch-wide space per diner is most comfortable. You will also want to plan for knee room under the countertop. 18 to 20 inches for knee space is a comfortable amount of room for your average height guests. All receptacles servicing countertop areas require GFCI (ground-fault circuit interrupter) protection. It's also important to have task lighting over every work surface. For all cooking surface appliances, install a ventilation system with an exhaust rate of 150 cubic feet of air per minute. Install range hoods or microwave-hood combos at least 24 inches above a stove or according to manufacturer instructions. If a microwave is placed below the countertop, the bottom must be at least 15 inches off the floor. Allow 15 inches of clear space above the refrigerator. We recommend a rough estimate of a minimum of 120 feet of shelving surface and drawer frontage. Here is the calculation, first, calculate frontage by multiplying cabinet width in inches by the cabinet depth in feet and then by the number of shelves. Of this total, include at least 30 feet within 72 inches of the main sink's centerline. If you have corner cabinets, a great idea is to include a lazy Susan, pullout shelving. The kitchen is a potentially dangerous area that can cause harm, even fatal injuries. Fires, scalding, cuts, and falls are all potential hazards. Protect your family by keeping all safety equipment visible, easily accessible, and away from cooking equipment. Testing the equipment at least every six months and training everyone on proper use is crucial. Do not block an operable window by placing a cooking surface under it. 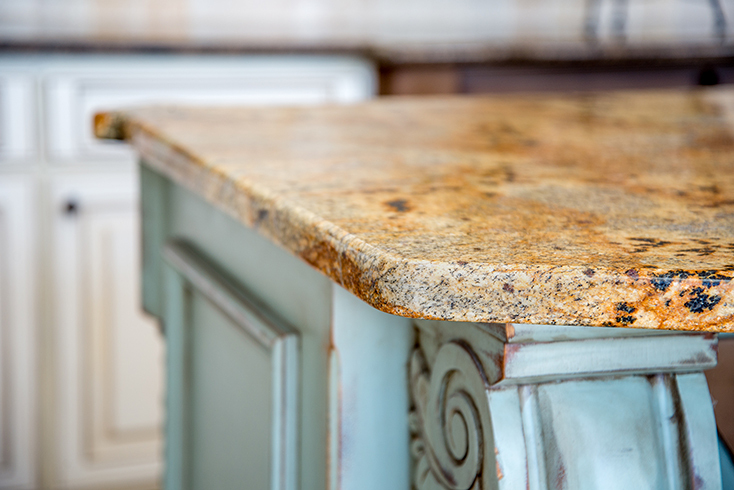 Also, choose eased or rounded corners for countertop edges, which are safe countertop edging that will not cut or poke visitors.